JR is an extension of the Java programming language with additional concurrency mechanisms based on those in the SR (Synchronizing Resources) programming language. The JR implementation executes on UNIX-based systems (Linux, Mac OS X, and Solaris) and Windows-based systems. It is available free from the JR webpage. 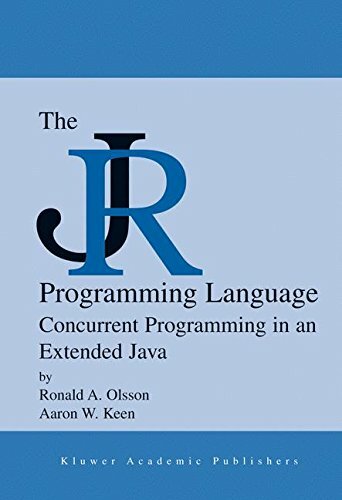 This book describes the JR programming language and illustrates how it can be used to write concurrent programs for a variety of applications. This text presents numerous small and large example programs. The source code for all programming examples and the given parts of all programming exercises are available on the JR webpage. Dr. Ronald A. Olsson and Dr. Aaron W. Keen, the authors of this text, are the designers and implementors of JR.
View More In Hardware & DIY.